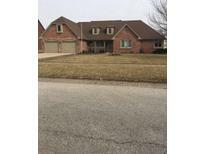 Below you can view all the homes for sale in the Chadwick Village subdivision located in Lebanon Indiana. 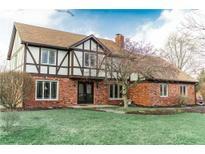 Listings in Chadwick Village are updated daily from data we receive from the Indianapolis multiple listing service. To learn more about any of these homes or to receive custom notifications when a new property is listed for sale in Chadwick Village, give us a call at 317-434-3975. You will love the fireplace in the family or the large bonus room upstairs with beautiful wood beams! ! MLS#21628748. RE/MAX Ability Plus. Don't let this one get away! HOME WARRANTY INCLUDED. MLS#21627933. RE/MAX Ability Plus. Nothing is needed except to move in and enjoy. MLS#21626217. RE/MAX Ability Plus. Established neighborhood with no HOA fees near schools, shopping, golf, and gym. MLS#21617624. Sandstone Realty, LLC. Walkability to historic downtown Lebanon, park & pool. Easy commute to Indy & Laf. MLS#21613189. RE/MAX Ability Plus. Fire Pit out back! Updated Lighting! A MUST SEE! MLS#21557418. Century 21 Bradley Realty Inc.